STEM TIME in ROOM NINE!!! and are finally settling into our regular daily routines! This year we have added a Stem Challenge to our math rotations once a week! Our first challenge was a fairly easy challenge from our Building and Design Center Task Cards. Kids worked in groups to build the tallest tower they could with the materials their group was given. 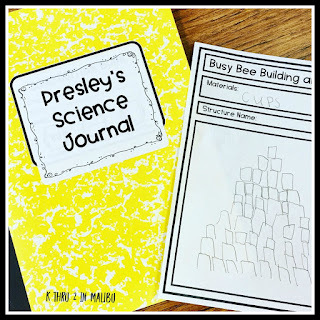 When they were done they recorded their work in their science journals. 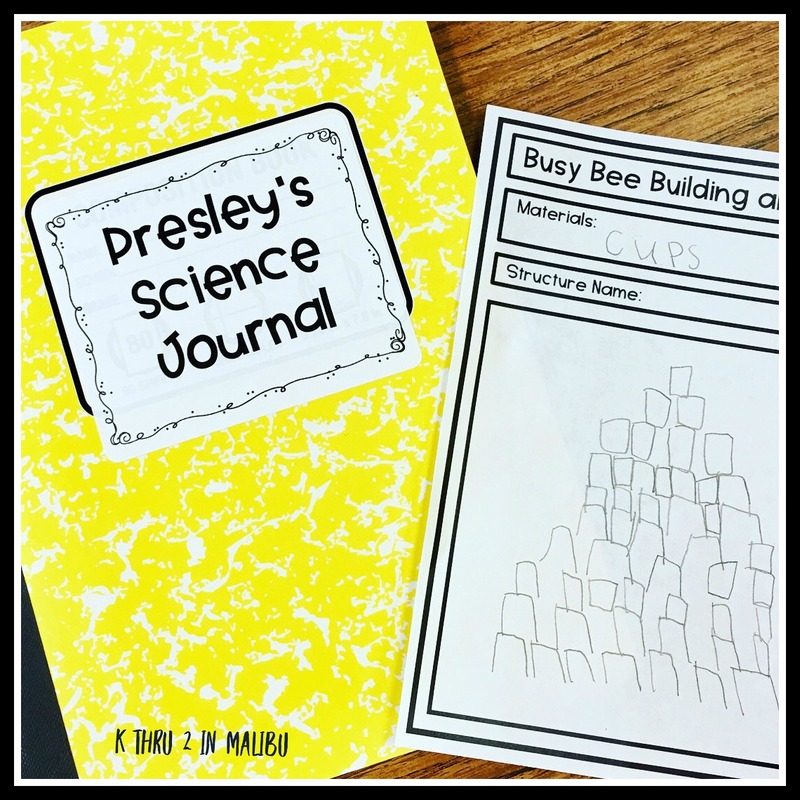 They were so proud of their work that we decided to take photos and add them to the journals as well. Our second challenge was a little more difficult. We had been reviewing the letter A at the beginning of our third week so we decided to tie our stem challenge into our review of A. 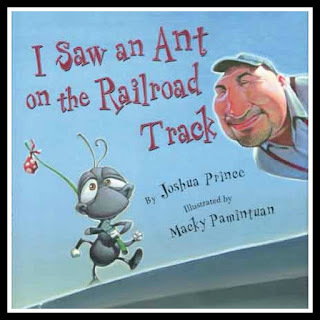 First we watched the book I Saw An Ant on the Railroad Track by Joshua Prince on YouTube. 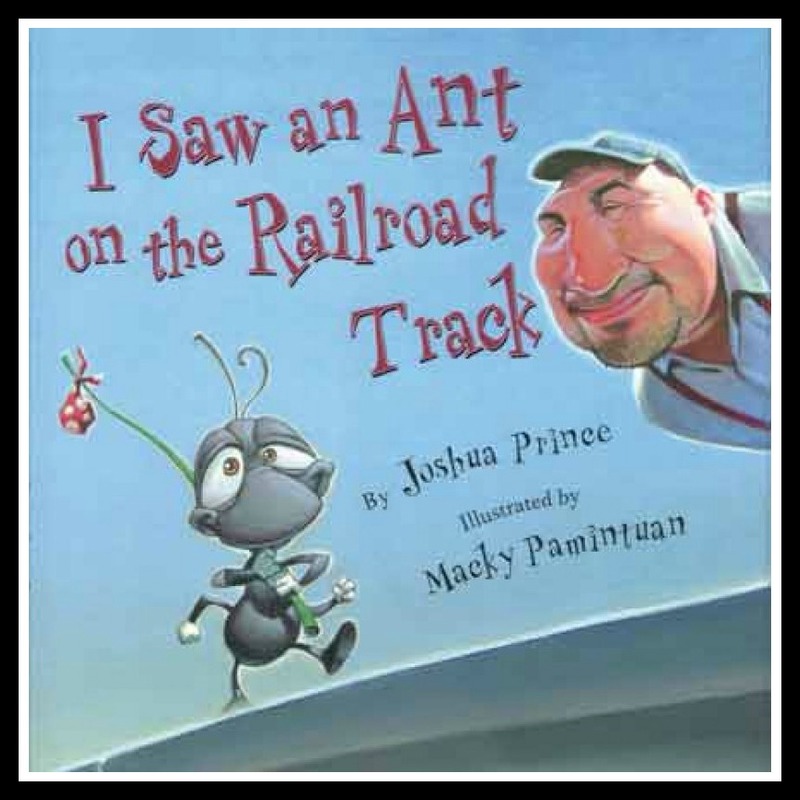 You can read the book as well but our students loved watching it on the smartboard. 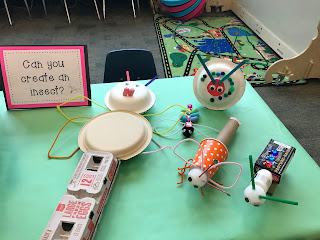 After listening to the story our students were asked to design and build a tool that would allow them to move an ant from the railroad track without touching the ant with their hands. Since this was our first time using our Maker Space boxes for building we decided to let each student try the challenge on their own. This way they were able to take the tools they made home to share them with their families. 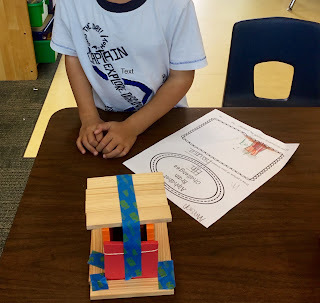 To challenge our students more we told them they had to use at least 3 materials to make their tool. 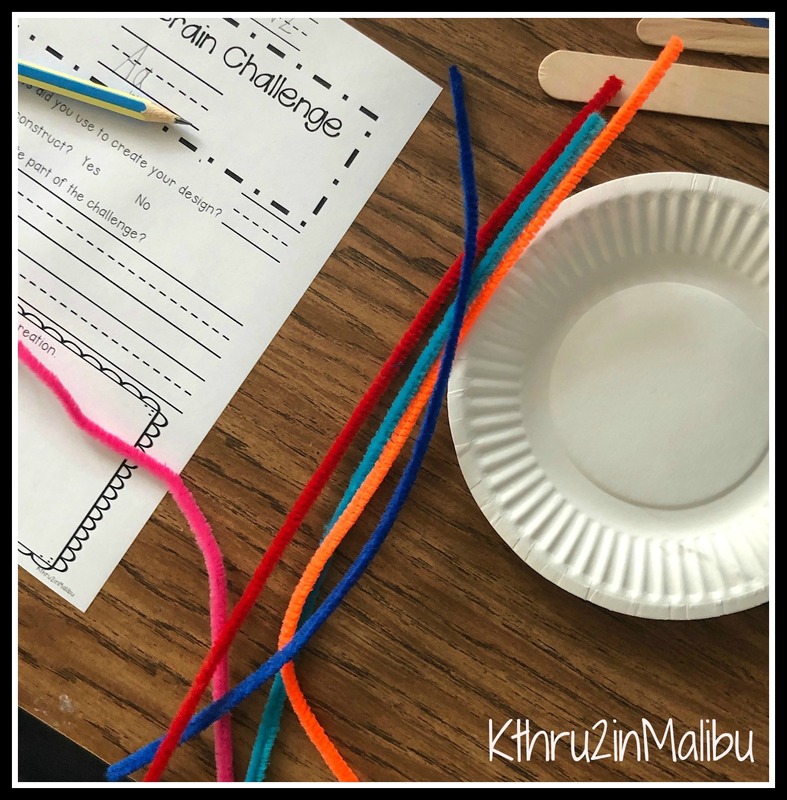 We gave them 9 materials to choose from: Scotch Tape, Masking Tape, Rubber Bands, Pipe Cleaners, Foil, Popsicle Sticks, Tongue Depressors, Cotton Balls, and Paper Plates. They worked diligently for their entire math rotation and came up with the greatest tools! If you are interested in our STREAM bulletin board letters you can grab them here for free! SCIENCE, TECHNOLOGY, READING, ENGINEERING, ART, MATH! These are all important components in a balanced, exciting, and hands on curriculum! 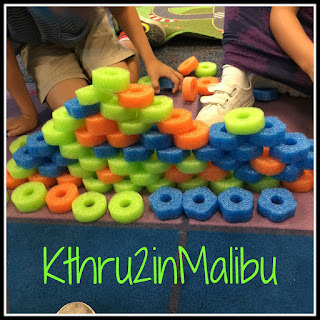 Our students love the STREAMing through the Alphabet units that we have created. 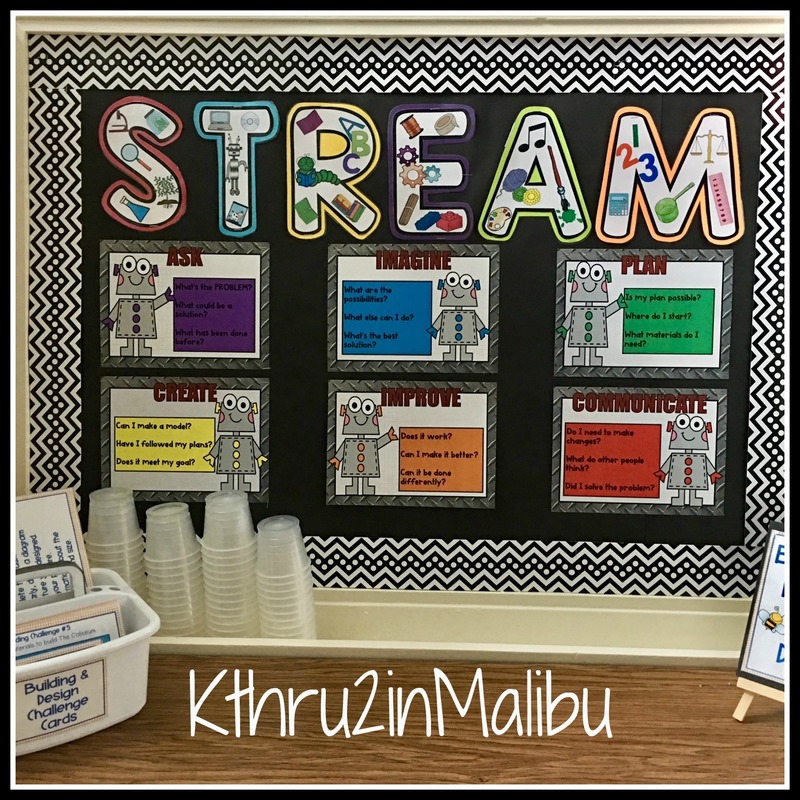 They focus on each learning area of STREAM while incorporating the alphabet. They create a fun, hands-on learning approach and encourage our students to ask questions, draw conclusions, take risks, be creative, develop oral language, and problem solve. 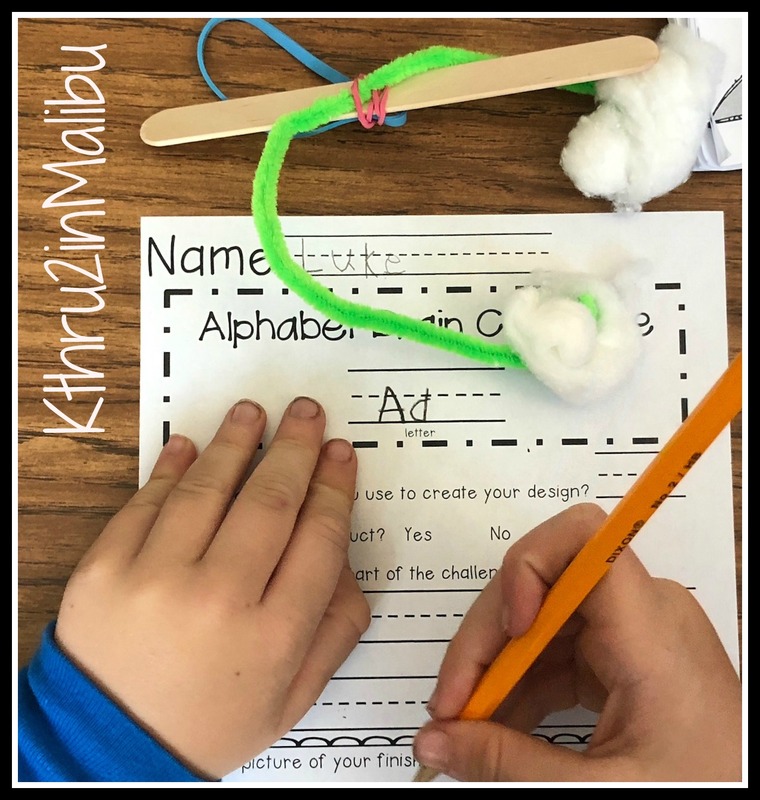 Our students create, cause, assemble, manufacture, achieve, invent, generate, produce, craft, build, and construct as they develop their critical thinking skills all while reinforcing the letters of alphabet. 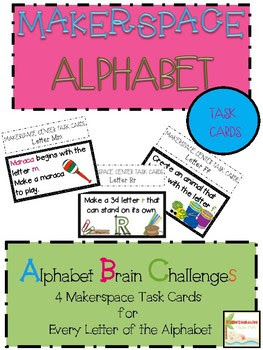 Here are just a few of pictures from some of the ABC challenges. 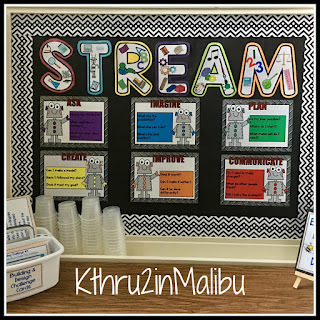 As we began to get ready for our incoming students, we thought it would be fun to dedicate a place in the classroom where we could display all of the STREAM learning going on through photographs and displaying their challenge worksheets. To highlight this area, we made a darling STREAM header for a bulletin board. 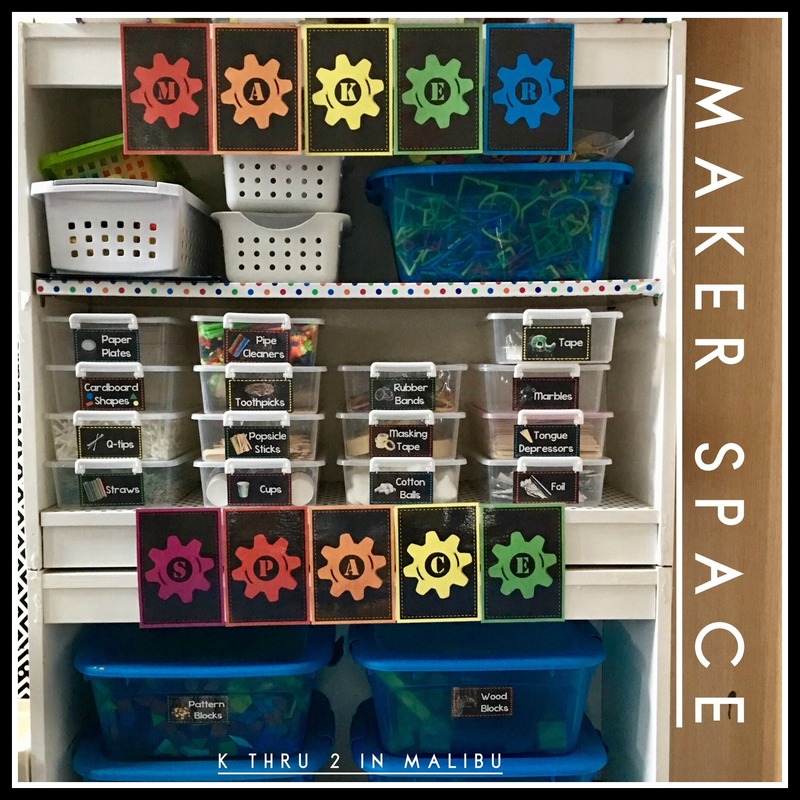 This board will be the perfect place to spotlight their creations from both our MAKERSPACE task cards and ABC STREAM Challenges. 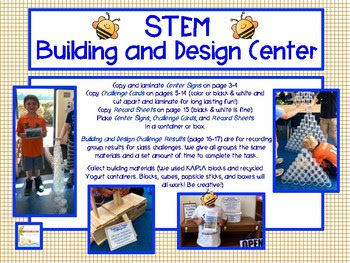 and our STEM Building and Design activities. 6 DAYS until the first day of school!!! beginning of the year runs as smoothly as possible! 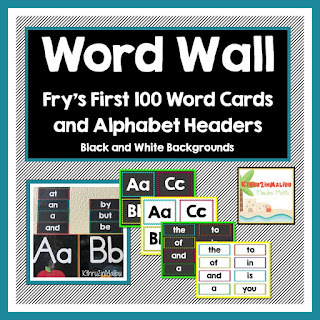 This is the first year we are using Fry's for our word wall. 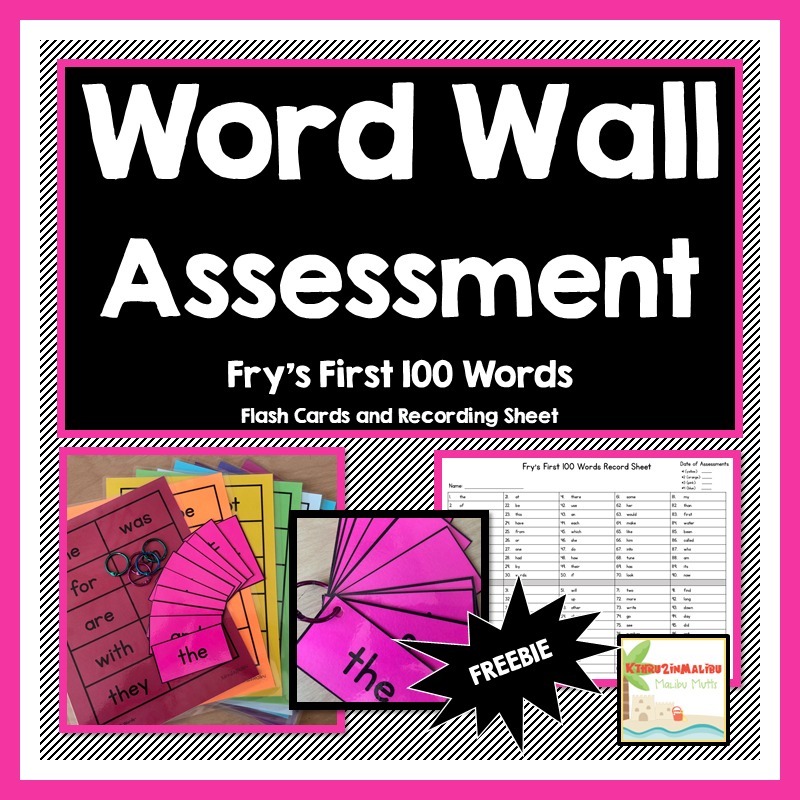 print-n-go flash cards and assessment record sheet. To make recording easier we broke the main list into lists with 10 words each. This allowed us to create a sheet of flash cards for each list and made it easier for us to use the recording sheet. We printed the flash cards on different colors and laminated them. 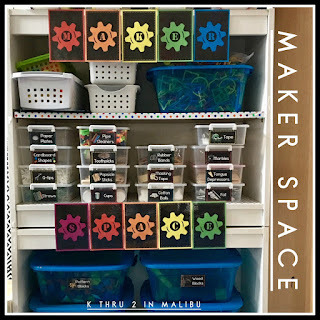 To make storage easier we put our word cards on rings, but you could also use a file box or baggies. 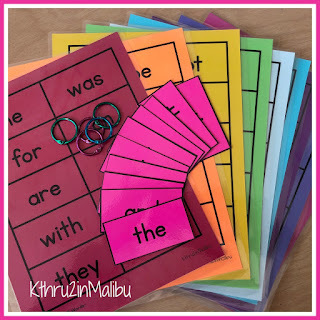 Now, we can easily pull a set of cards and assess our kiddos on the go. We also have several sheets of each list printed on white card stock. We will give these to kiddos who need a little extra practice. They can cut out their cards and take them home to work on! 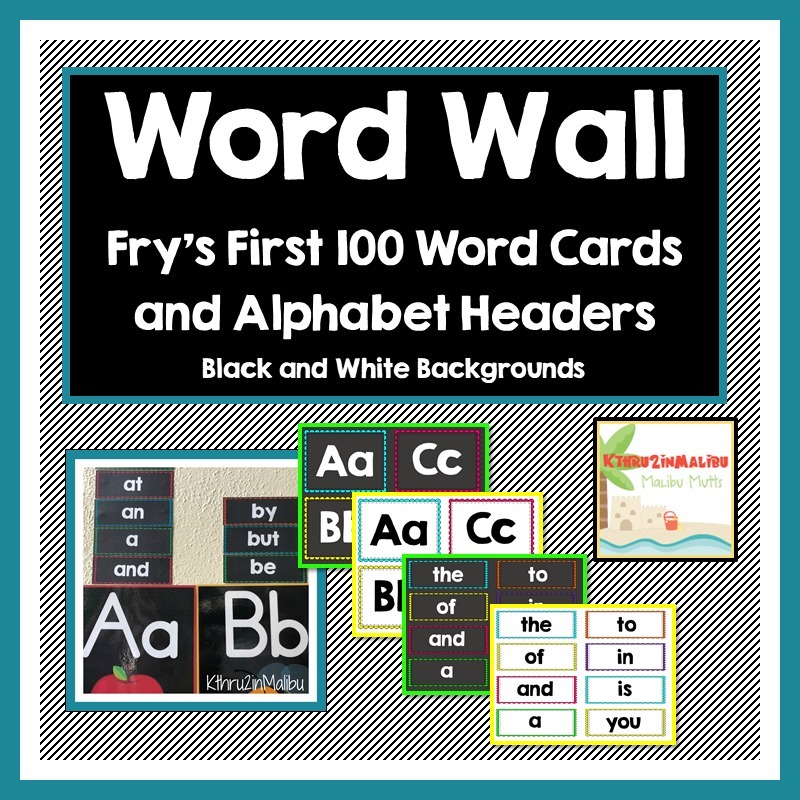 If you use the Fry's list for your word wall and want these resources you can grab them here! 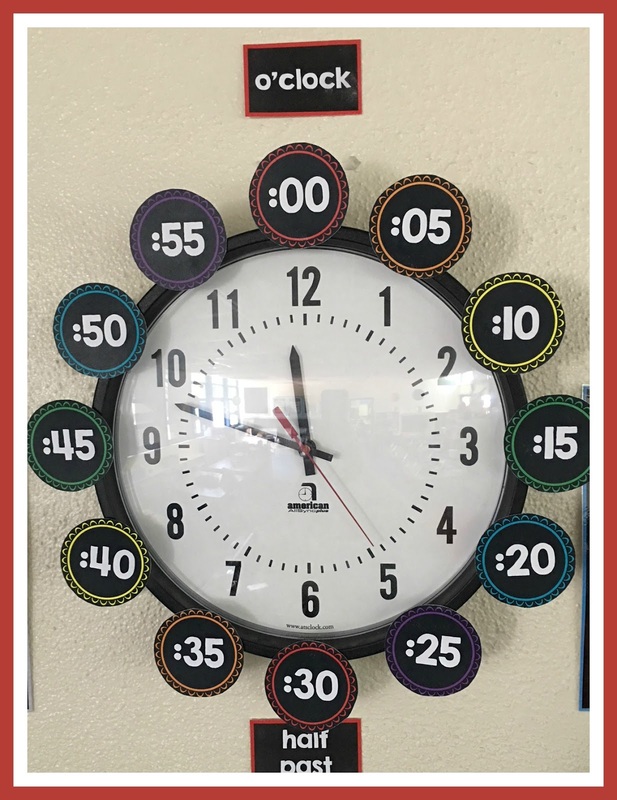 Learning to read an analog clock is so difficult for our kiddos! To help them we always add numbers to our clock. It it a fun and colorful way to make this challenging work more interesting and accessible. with both black backgrounds and white backgrounds. We are still going with the black backgrounds to eliminate the clash with our not quite white walls! We also made o'clock, quarter past, half past, and quarter to labels to put next to our clock as well. Last year we had bees but we think this look is cleaner. 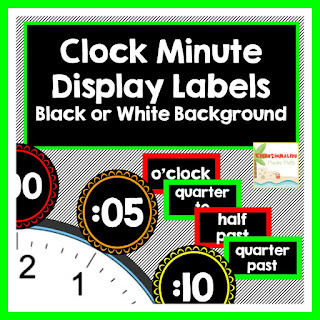 If you need clock numbers and labels you can grab them here! We love our smart boards but they replaced much of our bulletin board space. 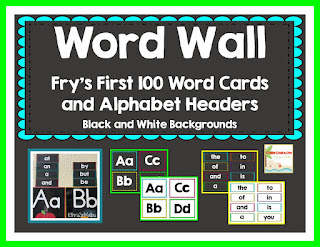 This made finding an ideal location for our word wall a struggle. 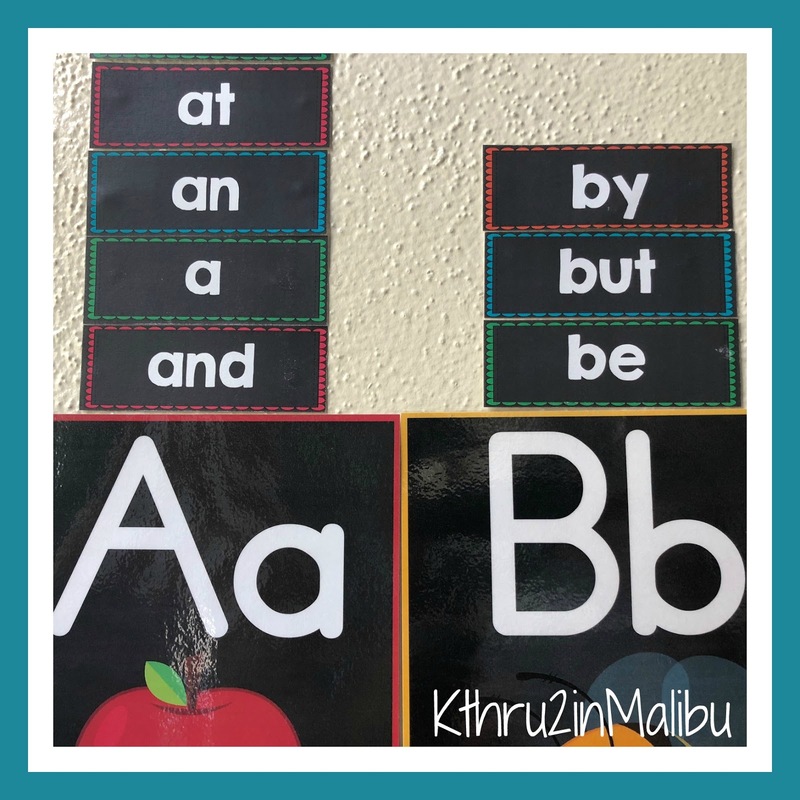 This year we decided to try putting our word wall directly above our alphabet. This way all of our kids will be able to easily see it! We bought this adorable alphabet from Lavinia Pop last year. It is part of her Back to School Chalkboard Bundle. so we no longer have bright white walls. so we decided to make them with a black background and bold white letters. We tried laminating the words but the light from the windows caused a glare. 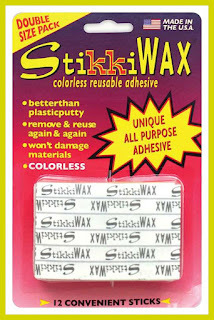 and tacking them up to the wall with sticky wax. We think the sticky wax works almost as well as a hot glue gun! 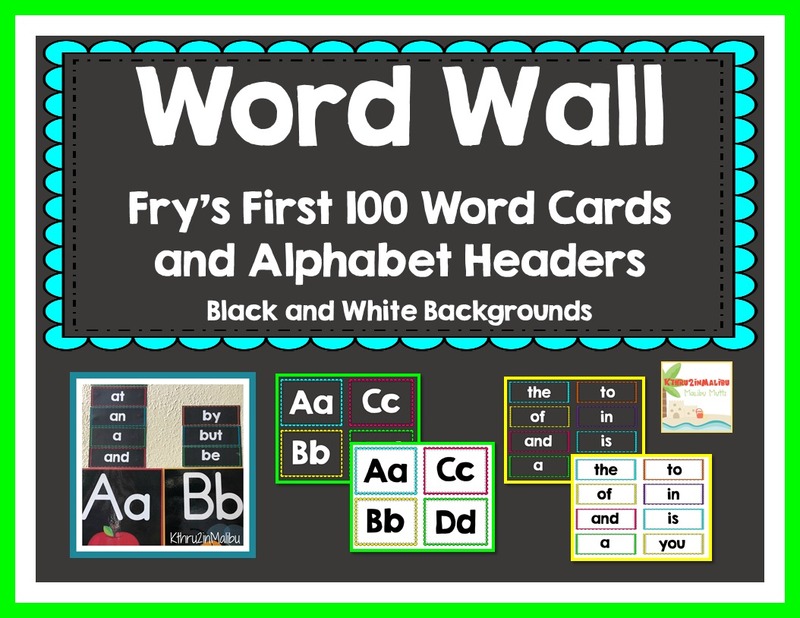 We are using the Fry's Sight Word Lists for our word wall. We have the words and small ABC headers for a word wall here. They are available with either a black or white background. 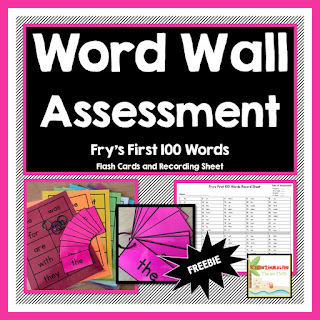 for a word wall than we do! 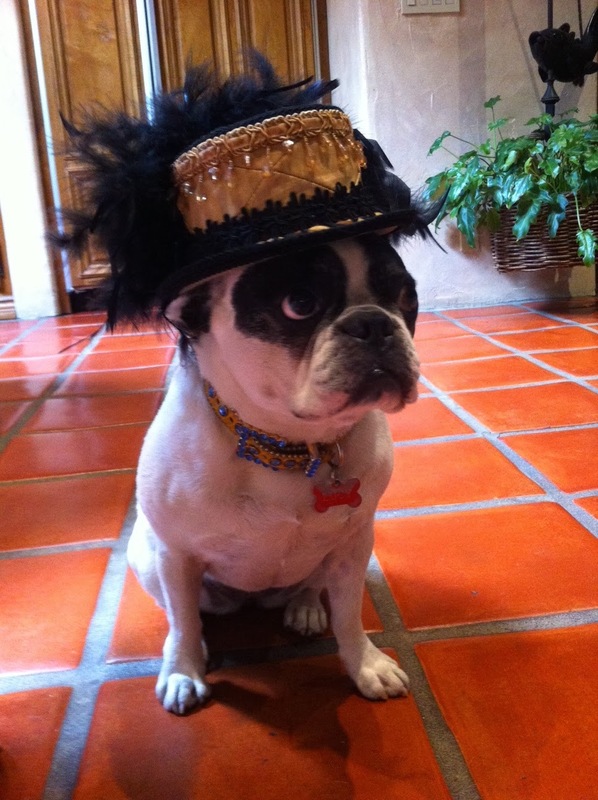 Hope you enjoy the remainder of your summer! Happy BTS! We just found a super cute and simple Back to School gift for students! 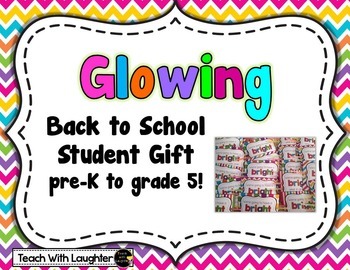 "Glowing Back to School Student Gift Freebie"! 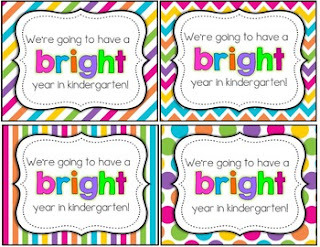 If you would like the tags you can get them from her TPT store or click here. Once we found the tags all we had to do was make a quick run to Target for the glowing bracelets! They were even on sale - 15 bracelets for $0.50! We printed the tags on cardstock and used a paper cutter to trim them down. Two quick hole punches on each side and the gift was ready to be assembled! It only took about 15 minutes to make enough for our whole class! One of our major summer projects was . . . It took time but it is finally finished! We never have enough of any of them! To make the project manageable we spent part of our summer organizing and labeling our leveled library. We had to clear out our rooms entirely so it was easier to start fresh this summer! One plastic storage tub of books came home at a time. Books were labeled with stickers (see below), sorted, organized into the tub, and returned to class. And the process continued with tub after tub until we finished! Once we were able to get back into our classroom the set up began. 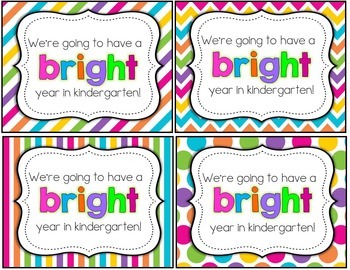 We started by creating book box labels that matched our class leveled library stickers. 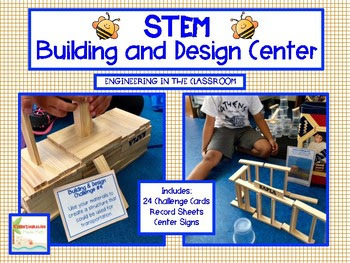 We printed the labels on card stock, laminated them, and used a hot glue gun to stick the box labels onto our book baskets. These white baskets can be found at Walmart. They are also available at walmart.com ~ 12 small baskets are $29.99 ~ about $2.50 each. We're using small baskets for the Leveled Library section of our class library. Because our kiddos are in Kindergarten and First, we'll start the year with two baskets for each of Level A-F books and one basket each of Level G-L books. Last year we started the year with one basket each for Level A-Z books but it took a ton of space and our students were not ready for level M books until late January or February. The next step was to set up the rest of our library. We found larger white baskets and some turquoise metal tubs at Target and used these for our other books. We try to keep at least 10 baskets of books out by Author or Genre/Theme in addition to our Leveled Library. We switch up these book every couple of weeks (popular tubs may stay our longer). If you would like these BOOK BOX & BOOK LABELS for your library please click HERE! 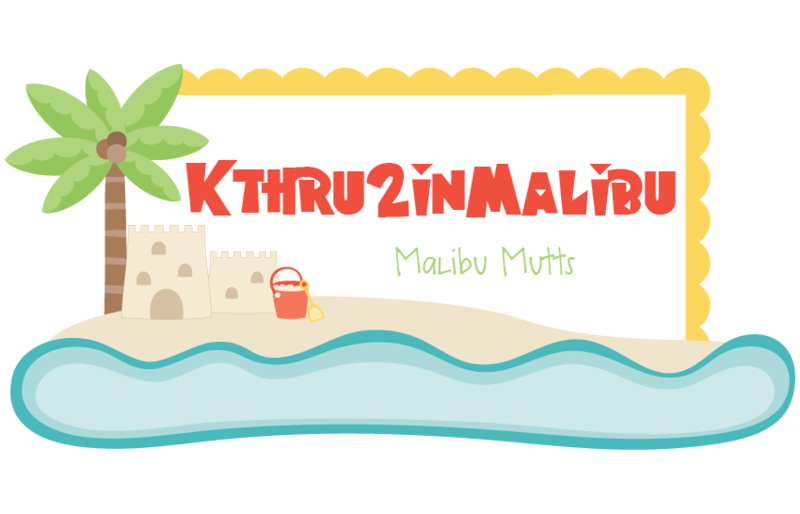 The labels come with either a black or white background and are editable! if you need to add books for a specific level. While we were shopping on their site, we realized we could also use it to help level some of our books! Please feel free to contact us if you have any questions about organizing your classroom library!